precast concrete sidewalk & patio slabs ! in such a quick, painless, safe, cost-effective manner ! Why do I need SlabSetters? "You know that I love Canadian inventions, especially ones that make jobs easier and safer. 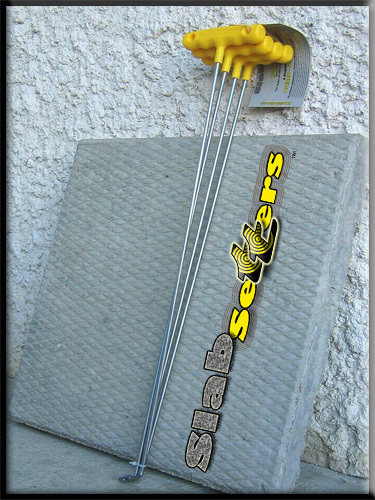 Here is an invention from Manitoba that allows you to easily install or adjust those heavy concrete patio steps, without bending over! Read through the instructions. You'll only wonder why no one thought of this before."